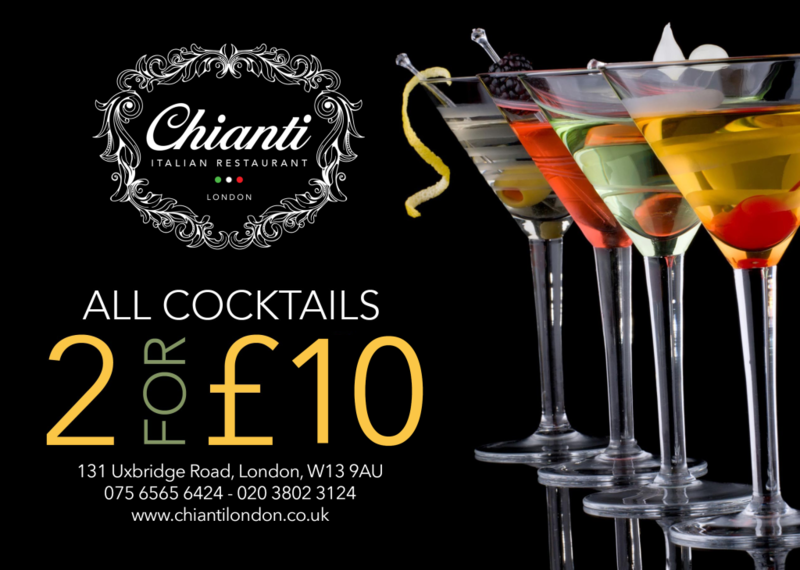 About Chianti Italian Restaurant Chianti Italian Restaurant is an authentic, Italian restaurant in Ealing, London. 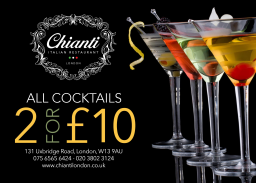 Whether you come for our mouth-watering Italian dishes prepared by our two Italian Chefs from Tuscany and Rome, or for the creative cocktails, Chianti has something DELICIOUS for you! Not only do we serve the best local pizza and pasta, but we also have an amazing selection of fish and seafood dishes that change weekly depending on the seasonal and fresh ingredients available. 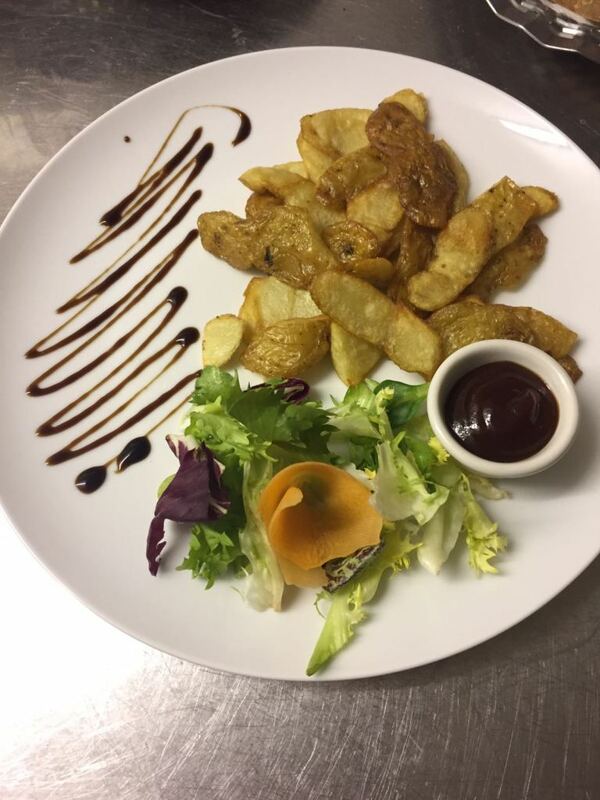 We cater for everyone and have a number of vegetarian, vegan, and gluten free options on our menu. When you visit us, you must indulge in our fantastic range of Italian handmade desserts, after dinner drinks, and creative cocktails that will not disappoint. Follow us on Facebook, Twitter, and Instagram to get frequent updates about specials, events, and offers.